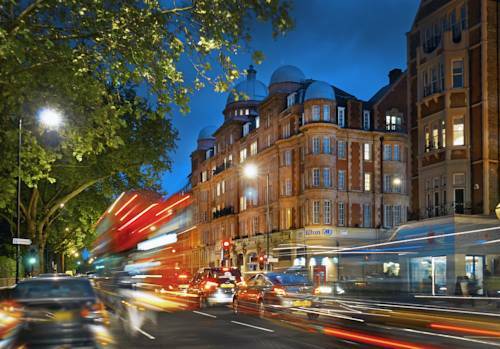 London Hotels, Guest houses and bed & breakfast accommodation in around near Hyde Park all with real-time, confirmed online reservations. Hyde Park is one of the largest parks in central London, England, and one of the Royal Parks of London. The park is divided in two by the Serpentine Lake. The park is contiguous with Kensington Gardens, which is widely assumed to be part of Hyde Park, but is technically separate. One of London's finest historic landscapes covering 142 hectares (350 acres). There is something for everyone in Hyde Park. With over 4,000 trees, a lake, a meadow, horse rides and more it is easy to forget you'r in the middle of London. Sites of interest in the park include Speakers' Corner (located in the north-east corner near Marble Arch) and Rotten Row which is the northern boundary of the site of the Crystal Palace. To the south-east is Hyde Park Corner. South of the Serpentine Lake is the Diana, Princess of Wales memorial, an oval stone ring fountain. Hyde Park has a wide range of facilities. Tube: Marble Arch, Hyde Park Corner or Lancaster Gate. Once known as Whites, the hotel has a club-like feel and offers a home from home to discerning business and leisure travellers, who appreciate outstanding service and stylish comfort. All the recently refurbished bedrooms have marble bathrooms, and an extensive range of modern amenities. Guests may choose from suites, studios and balcony rooms, which overlook the park plus a welcoming cocktail bar, conservatory lounge and traditional English Restaurant. There is limited on-site parking at eighteen pounds per day. 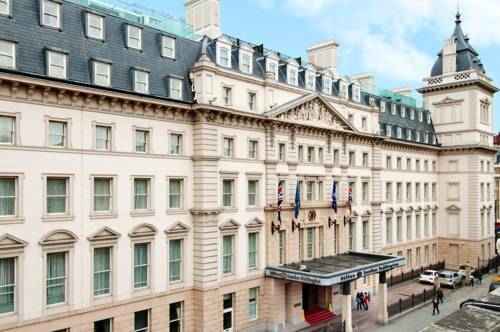 Just a short distance from Marble Arch, Thistle Hyde Park is ideally located in the heart of London's West End with the woodland charm of Kensington Gardens nearby. 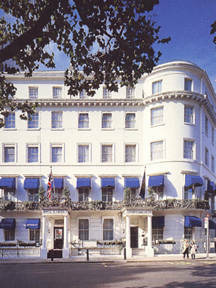 The Thistle Kensington Gardens Hotel has been recently refurbished, Thistle Kensington Gardens offers air-conditioned bedrooms with all the facilities a modern traveller expects. 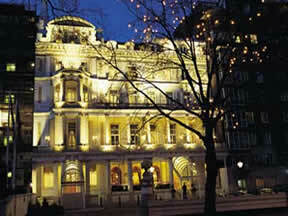 The hotel has stylish public areas, including the Galleria Brassiere with views of the park. Our conference and banqueting facilities also make this an ideal venue for business or social events. The shops and theatres of the West End are within easy reach and there are excellent transport links to the rest of the city. Kensington Gardens and the Princess Diana Memorial Garden are also near by. Privately owned - and it shows. Full of charm and character, yet warm and welcoming. A uniquely memorable hotel. 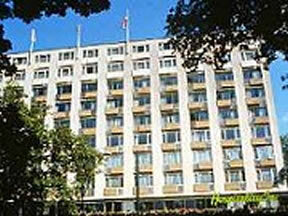 The Abbey Court is situated in one of the most desirable areas of London not far from all the capital has to offer. 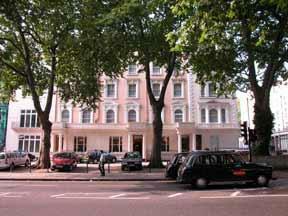 We are located in the quiet tree lined avenue of Sussex Gardens and provide an ideal base for exploring London.